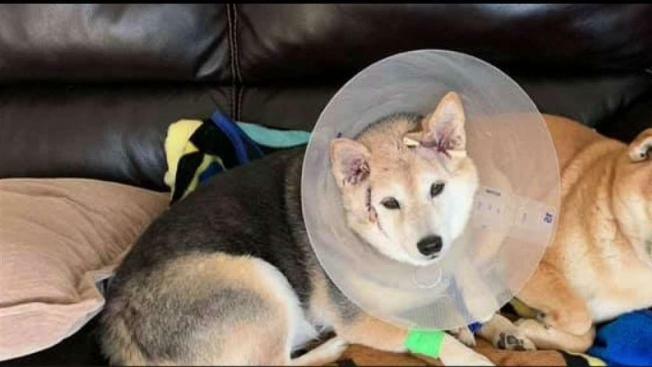 A dog was attacked by a coyote that jumped over the fence into the backyard of a home in Valencia, California. A video showed a pair of dogs observing a coyote that was looking over the backyard when it jumped over and confronted a dog named Kirin. After the coyote bit Kirin's face, the dog was taken to Valencia Veterinary Center for treatment. Despite stitches, she is expected to be alright. The home is located in a hillside development where coyote sightings are frequent. By nature, coyotes don’t tolerate other canines in their territory. If anyone has concerns about coyotes in their neighborhood, they can call the Department of Agriculture at 626-575-5462 to voice their concerns.